One of the biggest risks Facebook listed in Wednesday’s high-profile filing with the US Securities and Exchange Commission was “mobile .” The company hasn’t quite figured out what to do with advertising on phones, so it could struggle to bring in the bank as more users choose phones over PCs. 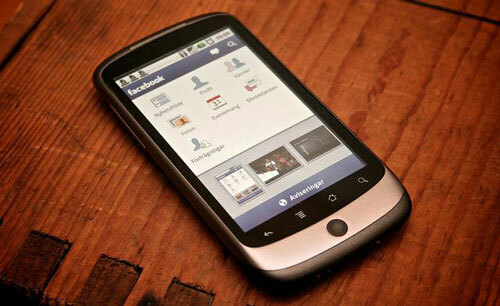 We had more than 425m MAUs [monthly active users]who used Facebook mobile products in December 2011. We anticipate that the rate of growth in mobile users will continue to exceed the growth rate of our overall MAUs for the foreseeable future, in part due to our focus on developing mobile products to encourage mobile usage of Facebook. Although the substantial majority of our mobile users also access and engage with Facebook on personal computers where we display advertising, our users could decide to increasingly access our products primarily through mobile devices. We do not currently directly generate any meaningful revenue from the use of Facebook mobile products, and our ability to do so successfully is unproven. Accordingly, if users continue to increasingly access Facebook mobile products as a substitute for access through personal computers, and if we are unable to successfully implement monetisation strategies for our mobile users, our revenue and financial results may be negatively affected. There is no guarantee that popular mobile devices will continue to feature Facebook, or that mobile device users will continue to use Facebook rather than competing products. We are dependent on the interoperability of Facebook with popular mobile operating systems that we do not control, such as Android and iOS, and any changes in such systems that degrade our products’ functionality or give preferential treatment to competitive products could adversely affect Facebook usage on mobile devices. Additionally, in order to deliver high quality mobile products, it is important that our products work well with a range of mobile technologies, systems, networks, and standards that we do not control. We may not be successful in developing relationships with key participants in the mobile industry or in developing products that operate effectively with these technologies, systems, networks, or standards. In the event that it is more difficult for our users to access and use Facebook on their mobile devices, or if our users choose not to access or use Facebook on their mobile devices or use mobile products that do not offer access to Facebook, our user growth and user engagement could be harmed. The rumours about the “Facebook phone” took on a new degree of certainty in mid-November when AllThingsD ran a series of reports about the upcoming device. It said the phone, called “Buffy”, would launch within 18 months of that time and be manufactured by HTC. It also delved into background about how the phone started as a highly controversial project within Facebook’s walls. Silva agreed with the prior rumors about Taiwan’s HTC being a likely candidate, but he also said manufacturers such as Korea’s LG Electronics and China’s ZTE would be good choices as well. “With Google and Motorola being so cozy, other Android phone manufacturers have to be looking at this as an option to differentiate themselves,” Silva said. Features that the phone could include could simply be optimised Android software that emphasises the Facebook experience. Or it could go further, with hardware-powered features such as NFC-enabled ability to “friend” someone you meet while out and about.